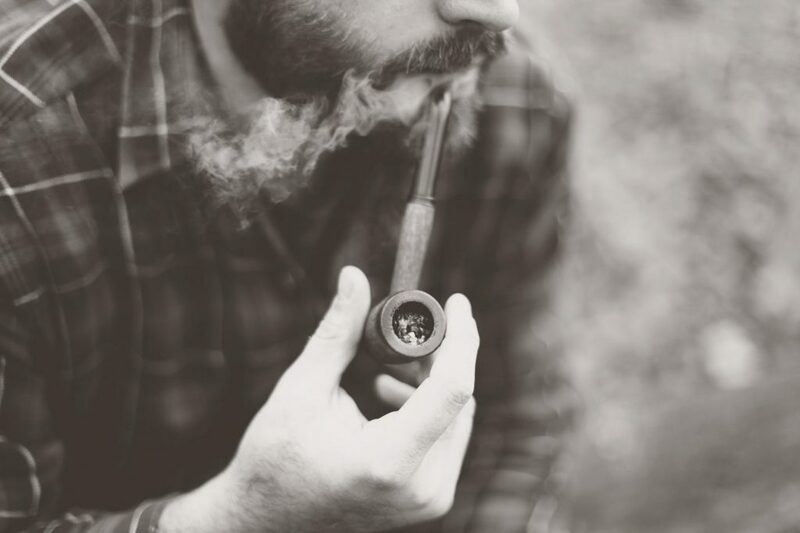 Getting started with pipe smoking may be a little overwhelming if you know little about your new hobby. Smoking a tobacco pipe is a very enjoyable experience, and many pipe smokers love collecting a variety of pipes, from the simple to the more intricately designed! To help you get started on your pipe smoking journey, take a look at our handy guide to different pipe types! Pipes come in a variety of shapes, sizes and materials that each play a part in the resultant smoke. 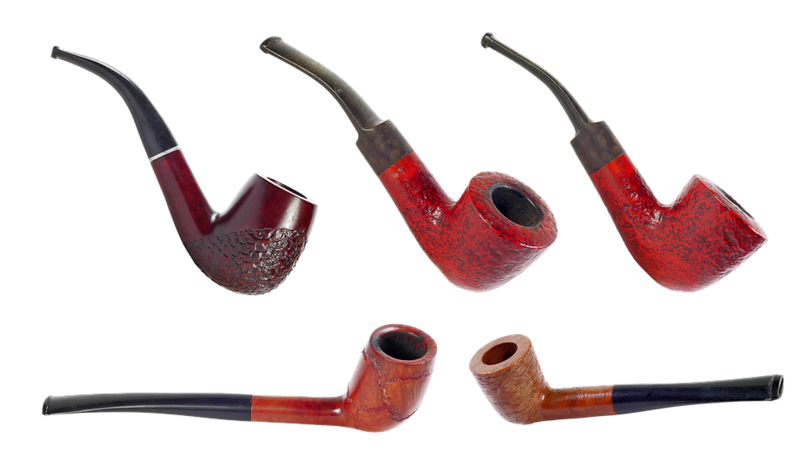 There are three main materials used to construct tobacco pipes; Briarwood, meerschaum and corn cobs. Meerschaum is one of the most expensive materials used to make pipes, and it is found near the Black Sea in Turkey. With an easily carvable quality, pipes made from this material will often incorporate intricate designs, which can, in turn, bump up the price point. Regardless of the price, these pipes are highly sought after for the excellent smoke they produce, and for their look and feel. Pipes made from Meerschaum will be lightweight, and the smoke will be cool and smooth. The most commonly used material for making tobacco pipes is Briarwood. It is ideal for use in pipes due to its durability, heat resistance and the fact that it is breathable. The porous nature of the briar wood also makes it perfect for absorbing the oils and heat that are produced when burning tobacco. Briar is a type of wood found at the roots of Erica Arborea trees, which are predominantly found near the Mediterranean Sea. By far the cheapest and most accessible material, corn cobs, also known simply as ‘cobs’, are made from dried and hollowed out corn cobs. A stem is then attached to the cob to allow smoke to pass from the bowl (the cob) to the smoker’s mouth! There are a number of different size and shape options for your pipe. The two biggest concerns are whether you want a big or small bowl and if you want the stem to be long or short. All factors considered, there are a great many different types of pipe available, and no specific one is “correct”; just pick a pipe material and shape that feels right to you – or just the one you think looks the best! The most common shape for pipes, acting as a sort of benchmark for many other shapes of pipe, the billiard is consistently a popular choice for pipe smokers. Featuring a straight bowl with a cylindrical chamber, the billiard is set at a 90-degree angle and can come with either a straight or bent stem. 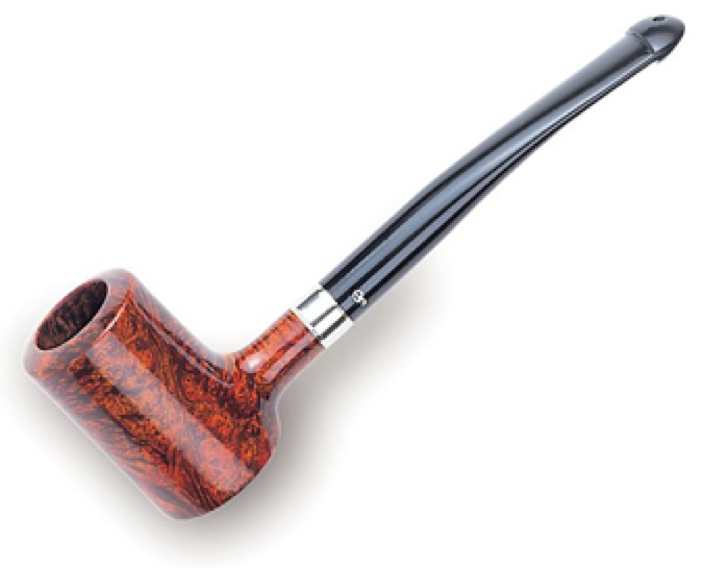 A common type of pipe that features a slightly rounded ‘apple’-like bowl, and is usually accompanied by a stem with a tapered mouthpiece. The apple-shaped bowl is far thicker than other pipe types, allowing it to absorb the oils and heat produced by the tobacco effectively. To counteract the heavier bowl of the apple, a bent stem is usually attached to this pipe. Author pipes are one of the largest pipe types, featuring a big bowl and extra thick shank and chamber. With a similar bowl shape to the apple pipe, the author features a slightly shorter shank with a thick, quarter bent stem. The large chamber allows for a great deal of tobacco to fit in the pipe, presenting you with the opportunity to have a lengthy smoke. Designed to look like a brandy glass, this uniquely shaped pipe features a large bulge that makes it easy to hold. The classic brandy pipe will have a quarter-bent stem; however, it is not uncommon to find them with straighter or more bent stems. Usually, this pipe will be made from Briarwood and will sport a smooth finish. A big pipe for serious smokers, the bulldog is a powerful pipe, with a bulky bowl and shank. The short and bulky design of the pipe, combined with its thicker wood walls, makes this the perfect pipe for smoking Balkan blends or flake tobacco. Often made from briar, the bowl of the Calabash is tapered and flares wide at the opening, making quite a deep chamber for the tobacco. The shank leads to a bent stem, usually at least a three-quarters bend. The calabash is best known as the pipe of choice for Sherlock Holmes, who was depicted smoking a Calabash pipe. A Canadian is similar to a Billiard but features a much longer shank, the section between the bowl and the stem. A Canadian pipe will feature a shank that is at least 1.5 times the height of the bowl, but no larger than double the height. Attached to this will be a tapered stem. A longer shank means that there is more room for the heat and oil of the smoke to be absorbed, making for a cooler smoke. Chimney is a great name for a pipe due to its smokey nature. This type of pipe features a taller bowl, much like a chimney in shape, allowing for more tobacco to be packed into the pipe. The tall bowl size means that a fairly sizeable chunk of wood is needed to form this type of pipe, which often pushes up the price tag, making this design a little rarer than others. More stem than it is pipe, the Churchwarden must have at least 9-inches of stem to be considered such a pipe. The stem can technically be as lengthy as possible, as long as it can still be held and smoked, but most will be between 9 and 18-inches long! There is no set size or shape for the bowl of this pipe, but usually, a smaller bowl will be used as it makes it far easier to hold and smoke. Originally, these pipes would have been made from clay, however, nowadays, briar is the more common material, although there are also a fair number of meerschaum Churchwardens. This pipe has become popular again in recent years thanks to Gandalf smoking one in Lord of the Rings! 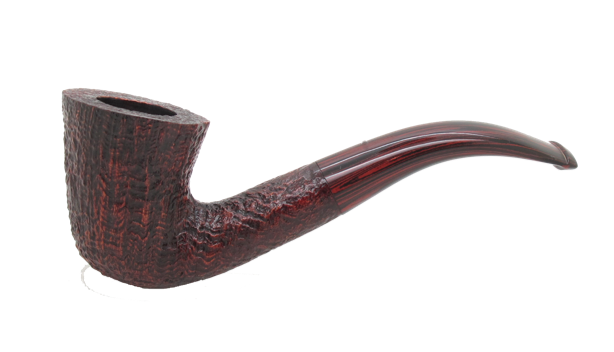 The oldest pipe shape that is still produced now, the Cutty is reminiscent of the long old clay pipes from the 16th-century, when pipe smoking first took off in the UK. This shape was chosen in the early days of pipe smoking as it was a fairly easy shape to create in a mould for the clay. The bowl points further down than many modern pipes, as it was designed to keep the smoke and heat away from the face of the smoker. One of the oldest pipe shapes, the Dublin dates back to when pipes were made from clay. With a conical shaped bowl, the pipe is easy to hold and can pack in a good amount of tobacco. The bowl shape is the only fixed requirement for a Dublin pipe, giving pipe makers a lot of room for creativity and variety. A long and tall pipe, the egg has a slightly egg-shaped bowl, with tall, oval sides and a thin chamber. For a bowl of this shape, it has quite a small circumference, which means it needs to be handled gently. More often than not, the egg pipe will come with a bent stem. Similar to the Canadian, the Lovat features a shank of around 1.5 times longer than the height of the bowl, but no more. Again, this extended shank allows for a cooler smoke. The Lovat is finished with a saddle bit stem. The Poker pipe is a Sitter pipe, meaning that it can sit on its own without falling over due to the flat bottom of the bowl. The name of this pipe originates from when Poker players would place the pipe atop their deck of cards to stop others from seeing their hand or to stop the cards from blowing away! A very smoker-friendly pipe, the Poker was particularly enjoyed by the working class who would need to put the pipe down occasionally when working with their hands. The Tankard pipe is similar to the Poker, in that it is a Sitter pipe, with the foot of the pipe cut flat. The Tankard, so named as it looks like a tankard, has a tall bowl and a long and thin stem. The shank is a lot smaller than many pipes, especially in comparison to its bowl, at around half the height of the bowl. This makes the tankard pipe very lightweight. 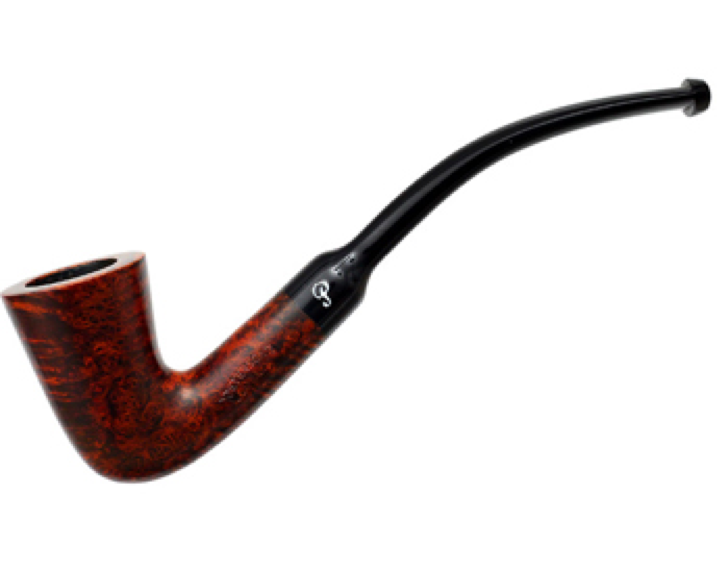 Another commonly used pipe shape, the Zulu is fairly similar to the Dublin, however, it is often made with thinner walls, making it a lighter pipe. The Zulu differs to many other bent pipes, as it features a straight shank, that comes out of the pipe at 90 degrees, yet features a bent stem. The gentle bend and lightweight feel makes this one of the easiest pipes to smoke with. What is your favourite pipe shape? Let us know in the comments below! Looking to buy a pipe? Havana House stocks a wide range of different pipes, including Peterson pipes, so take a look at the collection available! This entry was posted in Guide, Pipe Smoking Blogs and tagged pipe, pipe smoking, pipes.